A 10-year-old boy named Seven Bridges committed suicide in Louisville this past weekend after allegedly suffering intense bullying at school. Seven’s colostomy bag was the source of the intimidation, according to the youngster’s parents. “Twenty-six surgeries from the day my son was born. Twenty-six surgeries. 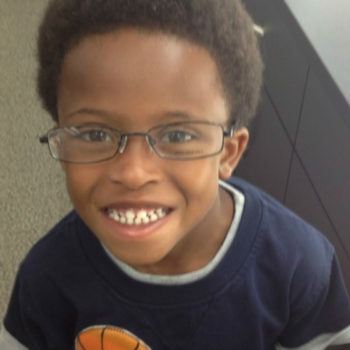 He just wanted to be normal, that’s all,” Seven’s mother, Tami Charles, tells the media. Seven underwent several failed surgeries in attempts to correct a birth defect. The youngster’s parents were aware of the bullying that took place at Seven’s school, Kerrick Elementary School, which is why they planned to enroll their son in another school during the fall. Many of the students bullying Seven reportedly commented on the smell that exuded from the youngster’s colostomy bag. A few of the children allegedly bashed the youngster for being African-American. Seven Bridges’ family has set up a GoFundMe page to help pay for the 10-year-old’s funeral. You can donate here. The post 10-YEAR-OLD BOY COMMITS SUICIDE IN LOUISVILLE AFTER BEING BULLIED FOR COLOSTOMY BAG appeared first on BCK Online.